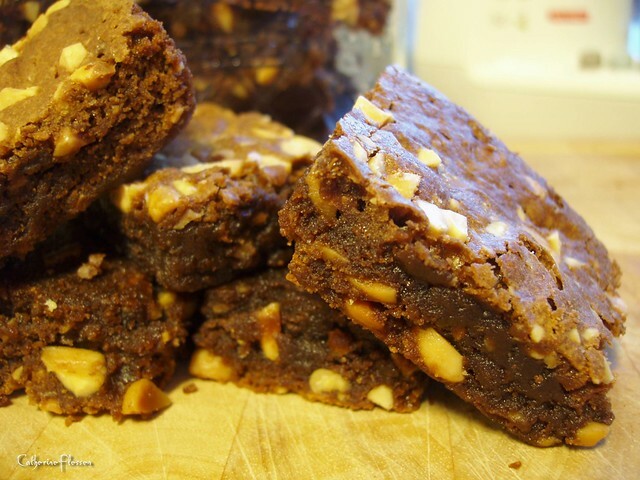 Espresso fudge brownies | SMØRGÅSBORD! Pre-heat oven to 175°C. Grease and line the bottom of a 8×8 in. baking pan with baking paper. Cream the butter and sugar together until light and fluffy. Mix in the eggs. Stir in the melted chocolate, vanilla extract, and powdered coffee. Fold in the flour, then the nuts. Spread evenly onto the baking pan an bake in the oven for 25-30 minutes. DO NOT OVERBAKE or it will turn out dry. Cool in the pan on a wire rack before cutting into squares. Makes 16 pieces. Previous PostPanang curry with chicken, peanuts and pineappleNext PostToll, toll, and more toll!